We see that here the Sun is closely conjunct the midheaven, so this full Moon will have a powerful impact in this location. As I noted above, Mercury is conjunct the Moon by antiscion. Mercury rules the 12th house of the nation’s hidden enemies and self undoing, as well as the third house of communication and neighbors. Mercury is quite weak in the chart, due to its passage through Pisces, the sign of its detriment and fall. 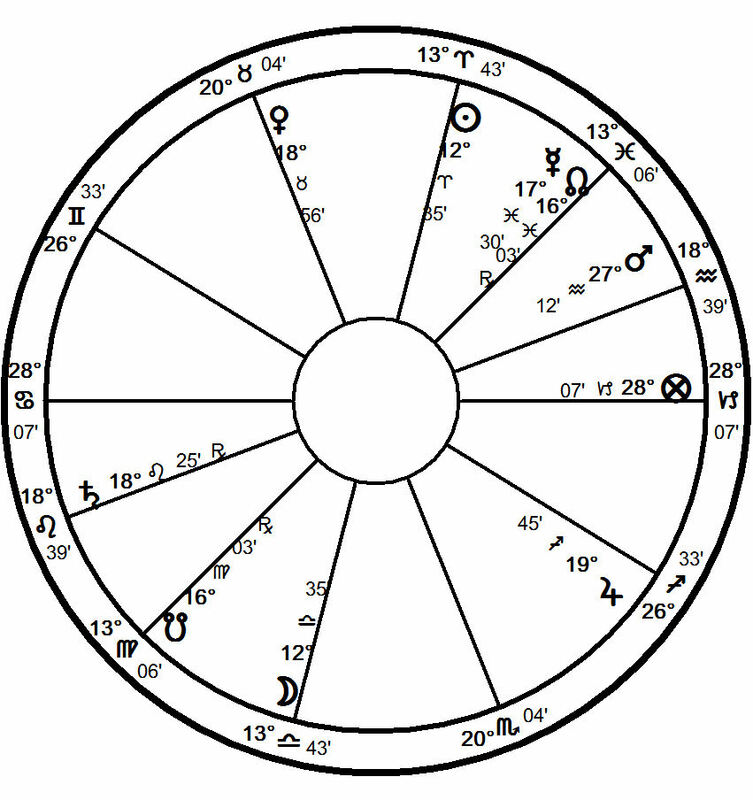 The Moon in this chart rules the first house of the people of the country, also signifying the state of the nation in general. Therefore, we can see some kind of hidden affliction to the people by Mercury. The overall sense is that the month following this full Moon will be full of secretive doings, and perhaps secrets exposed as well. Since Mercury is so weak, we would expect the overall tenor of events to be rather sordid. However, this Full Moon also has interesting ties to the horoscope for the Grand Conjunction (Jupiter conjunct Saturn) prior to the American Declaration of Independence. 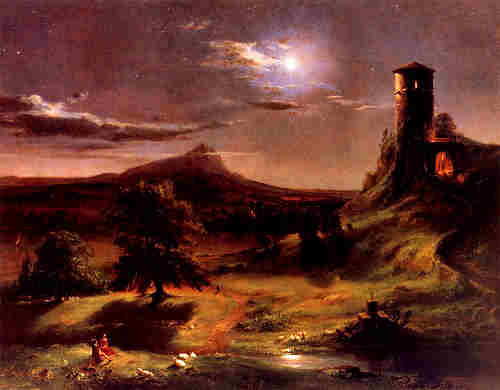 The Sun in the chart above falls exactly on the 10th house Jupiter-Saturn conjunction at 12 Aries in the pre-1776 horoscope, indicating important events to follow, especially those affecting the head of state. The Solar Eclipse of March 19th falls exactly on the pre-1776 Sun at 28 Pisces, also in the 10th house, activating that house quite powerfully. This Full Moon should have interesting and powerful repercussions in the U.S. government. Hi Nina,nice to meet you.I’ve read several of your articles,with quite interest.Congratulations for your good work.I don’t understand why the Saturn-Jupiter conjunction prior to 1776 was used by John Frawley and you as USA national chart,.Since the first government of USA started only in 1789.Why not research with the Saturn-Jupiter conjunction of 1782? This lunation may refer to a new unraveling scandal in DC which goes directly to the White House. Federal prosecutors were fired for going after corruption in Republican politicians. They were told/expected to only prosecute corrupt Democrats. Political pundits are predicting this one is a ‘biggy’, but since bush seems to have more teflon than Reagan did–who knows. On a more amusing note, (you may have heard on the news) that after bush left a ruins in Guatemala that he was recently visiting, the Indians did a purification ceremony to get rid of the evil spirits. We need them in DC in 2009! Yes, I heard about the purification ceremony. I do wonder if this attorney general business is the event associated with this lunation and the recent eclipse. Thanks for visiting & your kind comments. I cannot speak for John, but since the founders considered July 4, 1776 the birthday of the US, I am inclined to agree. I think your example is not that simple. Yes, the Moon is in detriment in the chart in question, but it is angular in the 7th and most importantly, aspecting the Grand Conjunction. Not to mention the fact that the Conjunction itself is conjunct the Part of Fortune. I have not experimented with the 1782 chart, but the 1776 seems pretty reliable. If it’s not broke, why fix it? Sorry,i re-cast the chart and i saw the Moon in house 7.I don’t uderstood the chart that you post in the “Grand conjunction” topic.This chart,my starting point,has Moon in house 8 and ascendant in Gemini sign…What’s the coordinates and city that you are using? I believe that every event is predestined and the attorney general business event was also predestined astrology is just the medium.